Two Friends Going to See The Yanks! Let us take you to the country of Colombia in the mid 1990’s where a 10 year old Eider Valencia started his fandom for the New York Yankees, catching a game on TV any chance he could to root for his team and his favorite player, the one and only Derek Jeter. Fast forward a couple of years later, Eider relocated to Queens, and his passion for the pinstripes hasn’t faded since. It took him a little while before he could go to his first game, but when he finally made it to the house that Ruth built, he was mesmerized by the experience. A couple of years later, after he attended Many Yankees games, Eider was in a car accident that changed life as he knew it. He was flung from the car in which he was a passenger, and was in a coma for 5 months. When he awoke, he learned that as a result of his accident, he had been permanently paralyzed from the mid-chest down, and was placed on a ventilator. After he was stabilized and ready to take the next step in his recovery, he was transferred to The Silvercrest Center to be weaned off of the ventilator. It wasn’t an easy process, however he was ultimately weaned. Even through all of his health and life style changes, he still hoped to get well enough to watch his team in the new and improved Yankee Stadium. 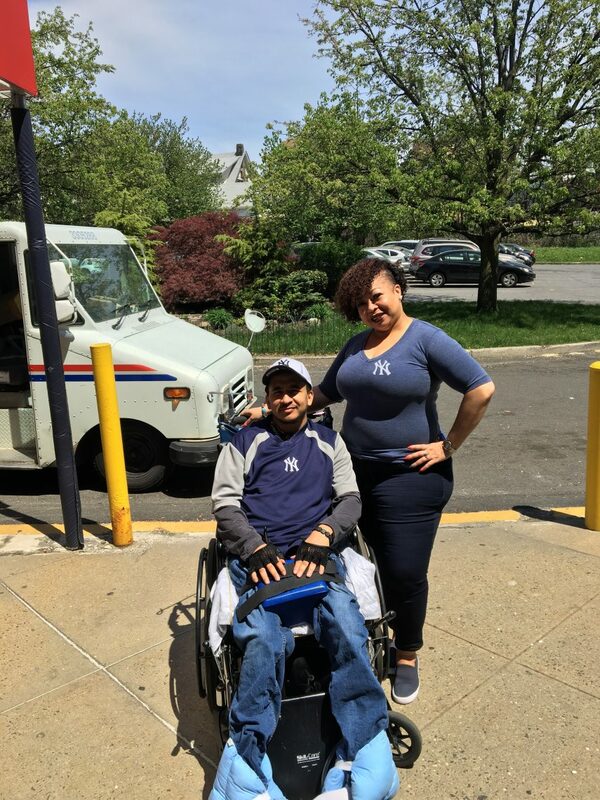 In July 2017; Eider was itching to get back to the Bronx to watch the Bombers so he sought out a staff member that would be willing to attend a game with him. Lo and behold, Adrienne Channer, Unit Manager of 3South where Eider resides, agreed to be his game partner without hesitation. She said, “I am a sports woman and I have serving heart to see his wishes come through.” Buying a pair of tickets, he decided he wasn’t going to miss the chance to see the Yanks play their bitter rivals, the Boston Red Sox. When asked why he chose that game he said, “It was my first live game in 11 years, I had to choose the game against the Sox.” Borrowing a jersey from a friend who is also a resident, both he and Adrienne headed to the game. Eider and Adrienne will be going to see the Yanks tomorrow to watch them take on the New York Mets in the second stint of this season’s Subway Series.